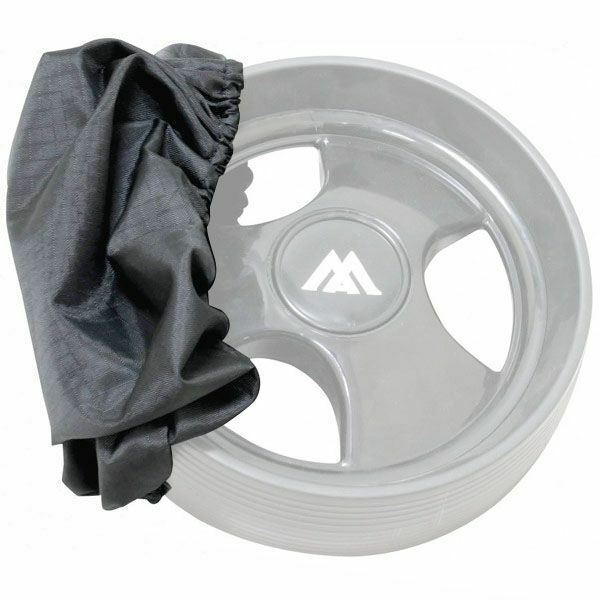 The Big Max wheel cover is a practical accessory designed to protect your car, caddybox and home from dirt and mud. It is manufactured from sturdy nylon to deliver long-lasting durability and has an elastic band making it easy to put on and off and suitable for the majority of golf trolleys. This water repellent cover is machine washable and easy to clean. for submitting product information about Big Max Wheel Cover We aim to answer all questions within 2-3 days. for submitting product information about Big Max Wheel Cover. We aim to answer all questions within 2-3 days. If you provided your name and email address, we will email you as soon as the answer is published. for submitting product review about Big Max Wheel Cover.